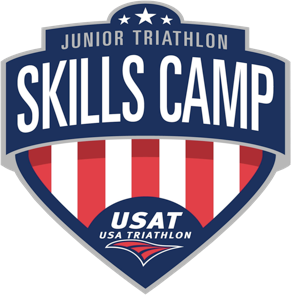 I recently agreed to head out to Scottsdale, Arizona December 27th-December 30th to coach at the USAT Youth and Junior Winter Development Camp with Coach Ryan Riell. This camp is designed to provide 4 days of solid youth and junior based training and to teach 12-19 year old (as of December 31st, 2012) athletes the basic skill set needed to be approved to attend a USAT Skills camp,or to race in the Talent ID Series, F1 Youth Elite Race series and/or the USAT Youth and Junior National Championships. I am looking forward to heading to Arizona get some experience coaching the future of our sport. I think this will be a great opportunity to learn from some very experienced coaches, as well as, pass on some knowledge of experience with the attendees. I know what it’s like to look at an athlete and say, “I want to get to that level!” Hopefully I can answer any questions the campers may have and inspire them to take their effort/training/racing to the next level. Kids grow up playing baseball, football, basketball, etc. Why not get them involved in triathlon at a young age? 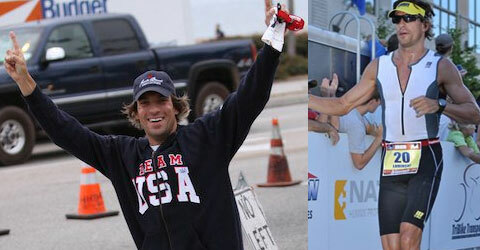 Triathlon is a sport they can compete in for a life time. The earlier an athlete starts, the more time they will have to develop, and get the most out of their performances. For more info on the camp click here, or e-mail me at Jim@jimlubinski.com. SEE YOU IN SCOTTSDALE! RACE HARD! “Patience is a virtue” and “Haste makes waste” are two of my favorite sayings and, I can tell you, I am still trying to learn how to follow the core message of each. For this I use another saying, “Easier said than done.” I am writing this article for my own good. Hopefully it helps you, but I need to put it on paper and hold myself to it. I ran the Chicago Rock and Roll Half Marathon a few weeks ago. My strategy was to go out conservative and close hard. What did I do? I hammered from the gun and suffered in the end. Granted there was a strong headwind the last three miles, but I had no gas to push through. The same goes for my last Ironman appearance. Ironman Wisconsin last season was a debacle. I crashed and burned. I went out hard on the bike, mashed up every hill, and ended up walking on the run. I will be the first to tell you I need to mature as an athlete and I must learn to have confidence in my speed and my fitness. The term “negative split” is not thrown around so much because it doesn’t work. The negative split is the ideal way to race. You want to ease into it and close hard. It is a lot easier to finish strong than it is to suffer through the last section of the race. How would I have raced these two races differently? At the Chicago R and R, I would have stuck with the lead group from the start. I would not have pushed as hard as I did, and I would not have run off of the front at the start. I went through my first two-mile sub-10 minutes. This was way too fast. I know this is not a pace I can hold for 13.1 miles. I have to be more realistic with myself. I should have started around a 5:20/mile pace and in the end, if I could run sub 5 min/mi, do it then when everyone else was suffering. I would not only have run faster, but I would have felt a lot better. At IM Wisconsin, it was all about patience. I know my swim stinks and my run is solid. I didn’t race my race. I got out of the water close to last and I thought I could make up time on the bike. I was wrong. IM Wisconsin is a two loop course. I was lucky to have finished the first loop let alone the race. 112 miles is a long way to race a bike. I had my wattage right in front of me, but I may as well not have. It was all over the map. On the up hills I was above 350 watts, on flats I was at 275 watts, and that is just for the first loop. The second loop drastically dropped off. If I had been patient, I would have kept my wattage consistent the entire way. I would have kept it low and within the same range no matter the terrain. For example, if my goal wattage was 260 watts, I should have held 260 watts on climbs, descents, flats, etc. I like to use T.J. Tollakson as an example when trying to make this point to my coaching clients. T.J. won IM Lake Placid this year and had his fastest Ironman run yet. This was not just by chance. I looked at T.J.’s power file from the race and it looked similar to a flat line across the course of 112 miles. T.J. stayed within himself and consistent. This allowed him to come off the bike feeling fresh and close out the race hard. T.J. is one of the strongest cyclists in triathlon, yet for IMLP he held his wattage around 260w. He was patient and conservative and this led to an incredible run which led to an overall victory. I personally find myself too caught up in the “racing” atmosphere. I want to start hard because I am racing, but I must remember that this is not a 100 meter sprint. Our races could last anywhere from 4-14 hours. That is a long day, and strategy is what separates the winners from everyone else. You could go out hard and have the lead for a bit, but “What matters is not how you start, but how you finish” and how you finish successfully takes patience. RACE HARD! Swim, Bike, Run! Swim, Bike, Run! We, as triathletes, seem to overlook aspects of training other than swimming, biking, and running. Ofter time, what we don’t realize is that it is the other aspects of training that allows us to get the most out of our bodies while swimming, biking, and running. One of the most important aspects we overlook is strength/flexibility training. If you look at any other sport, part of the training regiment is “hitting the gym.” Why should triathletes be any different? Sure, we will not be putting up the weight that a football player would be lifting or be doing the same dynamic movements as a golfer, but triathletes have specific areas of strength/flexibility that they can improve in order to get the most out of their training/racing. Many triathletes say, “I don’t have time to strength train.” What that triathlete has to realize is that strength training is as vital to their performance as any swimming biking and running would be. I look at it like this: If you were an architect and you wanted to build the tallest skyscraper in the world, you would need the strongest foundation possible. Your body is your foundation. If you want to build up to the highest level of performance, your foundation must be built first. Not only does strength/flexibility allow you to achieve higher performance it also helps prevent injury. The more solid your foundation, the less likely it will break down when put under stress. There are plenty of triathlon specific workouts you can do to improve your foundation and get strength in the correct places. For more info, or for time efficient strength training for the triathlete, contact me at jim@jimlubinski.com. I hate the feeling of helplessness. No matter what aspect of life helplessness is associated with, I can’t stand the feeling of not being in control and not being able to do anything to help the situation I am in. Helpless is the way I felt last Sunday at 70.3 Austin. I worked hard and left it all on the course, but my all was not nearly enough to compete with the best. I have been training hard as of late and making big gains, but I have been run focused for some time now. I have been biking and swimming a lot, but I haven’t really been “putting it all together.” I have done one brick(bike to run, or swim to bike) workout in the past 5 months and I have raced one triathlon in the past 6 months. This definitely showed on Sunday in Austin. I thought I could just power through the race and come out with a superb performance. I can assure you, this was not the case. These races can not be taken lightly, especially at the level I need to perform. Judging by the way my body feels today, my limbs were not ready for the stress of a triathlon either. The swim was, well, the swim. My goal going in was to stay relaxed and try to come out of the water with as much energy as possible so I could use the bike and run as my weapons to hunt down and take out the leaders. The gun sounded and I took off. I drafted off of another athlete most of the way. We were by no means breaking records, but I felt good and smooth. I kept checking in with myself throughout the swim to make sure I was relaxed. I have been known to be a tense swimmer to say the least. As of late, I have been trying to feel the water. I cruised through the swim, way behind the front pack and got out in 32 minutes. It seemed like a long way which was another example of my lack of triathlon specific training and racing. Doing 4500 meters in a pool is one thing. A 2000 meter open water swim is entirely different. I was not accustomed to swimming that long because I had not done it in so long. A lot of the guys in the field are Ironman competitors so a 2000 meter swim is nothing compared to the 4000 meter swim they are used to completing. I had a lot of ground to make up. Remember that helpless feeling I was talking about? Here is a prime example. I want to swim faster, with the rest of the group. I just can’t do it. I have been spending a lot of time in the pool, but everyone else has been as well. I guess I have to remember that it is a process and takes a while to be a good swimmer let alone a swimmer who can keep up with the best swimmers in the sport. Coming out of the water so far behind is a tough mental issue to deal with. Although my goal for the race was to race “my” race and see where I was at physically, it is still a metal drain knowing that I am already 8 minutes down on the leaders with only one-third of the day completed. I got on the bike and felt great. I eased into my race pace, 320 watts, and felt as though I could hold that wattage all day. The course was tough. A lot of rolling hills and the pavement was absolutely horrible due to the massive drought in Texas. There were cracks and bumps everywhere, and there were sections that had been repaved to cover cracks, but the asphalt that was used to repave was not the smoothest surface. It resembled the surface of the moon, if you can imagine that(CRAZY BUMPY). I was moving and feeling good. I went through 25 miles in a little under an hour. All of a sudden, I hit a bump and my left aero bar arm rest dropped down. I could still rest my arm but it wasn’t the most comfortable feeling. This is also when my power began to decline. No matter what I did, I couldn’t maintain my previous wattage. I was digging deep, trying to get back up to speed, but between the hills, the wind, the road surface, and, I guess, my lack of long, tempo rides(My max ride was 2:30 throughout the past 6 months, once per week); I started to suffer. I tried to put my head down and get into a groove, but I just couldn’t keep up the pace. Helpless! I was working, but 56 miles is a long way. I wasn’t used to holding a tempo effort for that long. I came off of the bike in 2:23 with an average wattage of 279. As I ran onto the 3 loop run course, the eventual winner Michael Raelert was just beginning his second loop. I was a lap down on the leader, 4.5 miles. He passed me like I was standing still. I have been running focused the past few months and I couldn’t keep up with him. I ran a marathon three weeks ago and I came through the halfway point at 1:10. Michael ended up running a 1:11. Although I knew I could run faster than he was running, I just couldn’t get up to his speed. Once again, helpless. It was starting to get hot and the course was a never-ending series of hills. I made sure to keep taking in fluids and calories because I knew I would need those fluids and calories as the run progressed. I started out around a 6 minute/mile pace, and that slowly tailored off to a 7 minute/mile pace. I finished the half marathon in 1:27. The same time I finished the second half of Twin Cities with two ailing IT Bands. My overall finish time was 4:26 and I finished 14th in the Pro Division. It was evident that I was not triathlon ready for this race, but the point of it was to see where I was at fitness-wise. I learned a lot about myself as I always do on these tough days, but I also learned a lot about myself as a coach. I never want my athletes to have the feeling of helplessness. I want all of my athletes knowing that they can achieve whatever they put their mind to and when they ask their body for that extra effort it will respond. I know what I have to do to be triathlon ready and I know the changes I will have to make in my training. It’s not more or less of one thing or another, it’s just more specific to what I will be racing. Thanks to my Mom and Dad for coming down to Austin and supporting me and thanks to Shane Niemeyer for giving me some great words of encouragement as I struggled through the run. Up next, I have a decision to make. Either I put the bike away and hone in on the California International Marathon for one more shot at qualifying for the Olympic Marathon Trials, or I dive back into full-time triathlon training and start making gains for next season. I’ll let you know. RACE HARD! Many of my athletes ask me, “Jim, how do you stay motivated when you are training endless hours, day after day, week after week?” I think this is a common question that resonates frequently within our sport. We do not partake in a sport that provides constant action or quick bursts of greatness. Our sport requires long, drawn out training that takes more mental strength than anything else. Anyone can physically go out and walk/run 26 miles, but to have the desire to do it and the drive to get faster each time you do it takes a great mental capacity as well. So how do I stay driven? I can answer that question in one word, GOALS. You must have goals that you can visualize within each training session that will get you through that session and on to the next. Those goals will also give you the drive to want to get better with each session. The reason I got into triathlon in 2005 was because I did not have any goals. I had retired from professional ice hockey, I had moved to California, and I didn’t know what I wanted to do with myself. Sure I had a job, but I knew there was more out there for me. I was going to the gym and lifting, but I had no reason to lift. I had no drive. I was improving my beach body, but I found it hard to get to the gym with no real reason to go. I was soon introduced to triathlon. I scheduled my first race, and a fire was lit once again. I had something to look forward to and something to drive towards. I didn’t want to show up at my first triathlon unprepared to complete the race. I was forced to get out and get ready for the race. Every second I was swimming, biking, or running I had that race on my mind. It is tough to train with out a focus or a goal. You may be out there doing it, but most likely you are just going through the motions. In the winter of 2008 I knew I could be very successful in this sport. I didn’t train everyday with a specific race in mind, but I trained with the specific thought that I wanted to be the best. This gave me the determination to get the most out of every workout. I came out of that off-season and cut 36 minutes off of my half-ironman bike split, I cut 8 minutes off of my half-ironman run split, and I was faster in the water than ever before. I use these two examples to show that your goal doesn’t have to be a race, but it can be personal performance. Either way, you need something to drive towards. Your goal has to be front and center throughout your everyday life. It has to be there to remind you why you are doing what you are doing. For example, I am trying to qualify for the Olympic Trials in the marathon for 2012. I constantly keep a hard reminder of this goal on me at all times. A Post-it in my car, a screen saver on my computer, a print out with the words, “TRIALS” on it at my desk, the letters, OT, taped on my bike frame, etc. My goal is visualized at all times. That way I know why I am out there grinding away. I can be reminded why I am not partying with my friends, or eating like a sloth. A constant reminder keeps you on task. We all have tough days. Days where we are not inspired to ride 5 hours, or run 20 miles, or dig deep to make that one second gain in the pool. Having a goal will get you through that workout and onto the next because we all know gains are not achieved in one work out or one week of workouts, but gains are achieved through weeks upon weeks, months upon months, years upon years of consistent workouts. Having a goal or goals will keep you consistent and moving forward. Like I said, my current goal is qualifying for the Trials in the marathon. My swimming has taken a back seat because of this. I went to Mammoth for a month and swam 2-3 times per week. Before I left I was making huge gains in the pool. Now that I am back those gains have been erased and I feel as if I am starting from scratch. Sure I have a running goal, but I lot sight of my swimming goals. I recently registered for Austin 70.3 on October 23rd which will force me to get to the pool and make the gains I need to make in order to be competitive in Austin. If you feel you are lagging in a certain area schedule an event in that area. If you are a weak runner and find it difficult to lace up your sneakers and get out the door, schedule a 10k, if your biking in not up to par sign up for a time trial. There are plenty of events out there that will give you the goal you need to drive you to train. I did a speaking event for the Maine East High School Cross Country team last week and their #1 questions was how do you make gains, and for them it was an easy answer. They race often, so it is tough to make every race a goal. They must look big picture. For example, win conference, make state, win state, get a scholarship, etc. Because they race so much, they will have crummy races. By having a bigger goal, they will scrape themselves up quicker and move on. Goals depend on where you are in you development. If you race often, like a professional, goals are big picture, ex. Kona, 70.3 World Championships, ITU Worlds, etc. If you are an amateur who races only a few times a year, then your goal will be to hone in for specific races. Set a goal. We all benefit from them. If you need help figuring out YOUR goal contact me at jim@jimlubinski.com and we can work together to figure it out. RACE HARD! You see, I have always been a strong runner and this season has been no exception. I have consistently PR’d, race after race so I said to myself, “What could happen if I really focused on my run training?” I had been evenly splitting my training between biking. swimming, and running and making HUGE gains on the run. I went from a half marathon PR of 1:17 to a PR of 1:10 on around 20-30 miles running a week. So in June, I decided to up my running mileage (while still training on the bike and the swim). Since June I have averaged 80-100 miles a week running, 20,000 + meters in the pool per week, and 9-10 hours a week on the bike. My running has been focused and geared towards qualifying for the Marathon Olympic Trials which take place in January in Houston, TX. The trials will consist of the best runners in the United States and I will be the first male professional triathlete to qualify for the marathon trials. Joanna and I looked at the marathon schedule and decided Twin Cities would be my first attempt to qualify. October 2nd would give me 4 months of solid run focused training, but I would have to dedicate myself to my goal. Through July I moved to Mammoth Lakes, CA to live and train with the Mammoth Track Club. In August I ran a test race at the Rock and Roll Chicago Half Marathon. My official time was 1:11, but the course was 7/10’s long which equates to around 3 minutes so I am calling it a 1:08, but more importantly I held a 5:11/mile pace. In order to qualify for the trials I will need to hold a 5:19/mile pace at the Twin Cities Marathon which would lead to a sub-2:19 marathon. The Olympic Trials Marathon Standard is 2:18:59 or less. Granted Chicago R and R was only 13 miles, but it was a confidence builder. Post Chicago I went to Boulder, Colorado to live and train at altitude with my coach Joanna Zeiger. Since being in Boulder I have seen a world of difference. I am dedicated to my training and treating my body right with consistent Pilates Class, Massages, ART, stretching, and proper nutrition. Cortney(Your the BEST! ), Mom and Dad, Joanna and Mark(and Deisel), Josh Cox, Erik Vervloet(K-Swiss), Lloyd Taylor(Triathlon Lab), Snow Creek Resorts(Mammoth Lakes, CA), Mike Mckeeman, Tim Tollefson, Deena Kastor, Meb Keflezighi, Rita Klabacha, Jorge Torres, Ivette Ramos, Brandon Del Campo, Dave Scott, Powerbar, Gyst Concepts, SportMulti, LA Tri Club, my supportive team at Lube’s Multisport, AJ Johnson, Nancy Reno, Ryan Capretta(ProactiveSP), and anyone I missed you know I appreciate everything and everyone!